What can 5Rhythms® do for you? 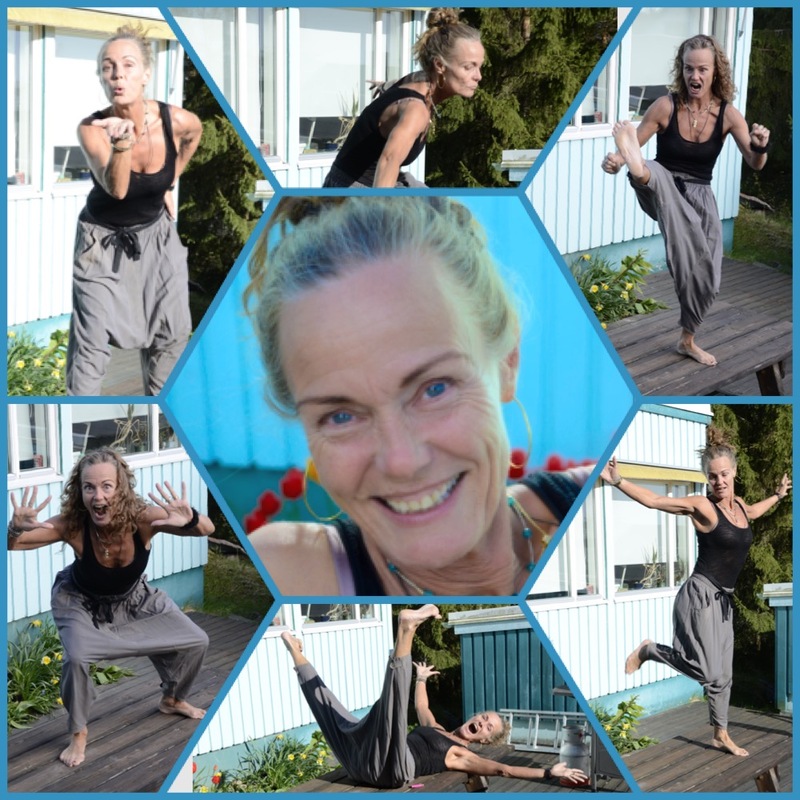 "When you follow your bliss....doors will open where you would not have thought"
Jenny creates a safe container for the development of one's authentic self with her passionate, embodied and grounded, loving no-nonsense teaching style. Everything is welcomed, held and loved. Jenny is a truly original and powerful woman. Her dance describes well who she is in the world and the passion and commitment she has towards the people she works with regardless of age or background. For as long as I can remember, I have been fascinated by human nature and been eager to understand and make sense of both myself and the people around me. There were just so many incongruencies, so many paradoxes everywhere. My early years were bumpy, with many occasions to interpret my reality as something being wrong with me. My strategy became to hide my wounds behind a cheerful and witty facade. The older I got the more difficult it became to live this lie and I began to self-medicate. Bulimia and rigorous physical activity became my primary mechanisms to cope with my pain while at the same time still being painfully aware of my attempt to escape feeling fully and living my truth. I began to understand that I could never run away from myself. What makes us tick & what makes us sick? How can we, and how do we dare, live and fully be who we are? How do we blossom and live our life from the heart trusting, that no matter what, we are lovable, we are ok! What is the higher purpose of this human existence? After having gotten my masters degree at age 23 and afterward traveling for a year, I moved to America. In America, I hit bottom and began looking for ways to heal my own wounded heart, soul, and body. I wanted to find out how body, mind, and soul affect each other, find an answer to why it can be so painful to be a human being. Serendipity and grace lead me to the therapeutic modalities and spiritual practices that were right for me at that moment in time, to help me heal, grow and understand. My own healing process made a big leap and I embarked on what was going to become decades of pieces of training to deepen my understanding and my ability to help on this path of being a soul having a human experience. Once again I was blessed to find the right teachers at the right time. Gabrielle Roth and the 5Rhythms® have given me the gift of being seen and loved, brought me back into my body, dissolved my depressions and freed my expression. Christian Pankhurst and HeartIQ® have given me the gift of discernment and a strong loving container and platform to go full out and find acceptance and love in all my ranges of expression. Anand Mehrotra and Sattva Yoga have given me the gift of the love and tools that help me expand, understand and make my experience as a soul having a human experience bliss and purposeful. Together my teachers have given me a recipe for a life where joy can be experienced no matter what is going on! I have one intention, to create a safe space for growth, self-exploration, self-expression, and self-realization. To be a messenger of love, to give everyone I come in touch with the possibility to experience that each and every one of us is worth and worthy to be loved! That no matter what, life is a gift worth living! May we all live a life where we fully show up, are fully present, clear, heart-centered, connected, embodied and authentic while walking each other home. "We cannot teach people anything, we can only help them discover it within themselves."